Stephen Pasture Seeds are independent wholesale pasture seed suppliers and advisers. 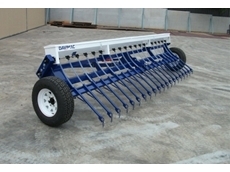 Davimac manufacter a range of high quality farm machinery - Chaser bins, disc planters, seed drills, and seed boxes. 04/11/09 - The Australian Pesticide and Veterinary Medicine Authority has approved a new use for the premium all weather slug and snail bait, Metarex, from AgNova Technologies. 21/07/08 - P.D. Bower & Associates is a consultant of livestock nutrition and assists Rational Nutrition in manufacturing quality livestock supplement products. 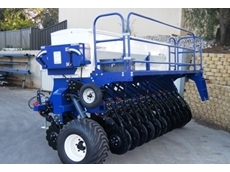 17/07/08 - PlantTech provides seed treatments that act effectively on targeted crops, providing an environment friendly approach to crop protection. 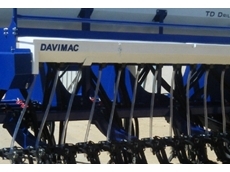 Seed treatments help protect crops from the sowing stage through to vital germination and early establishment phases. 16/07/08 - PlantTech uses Agristrike, a pasture seed coating technology to improve the seedling emergence, establishment and root nodulation as compared to plants that are sown as bare seeds. 04/07/08 - AusWest Seeds provides cleaning, processing and treatment services for a range of pasture seed varieties. 03/07/08 - AusWest Seeds offers educational and training services for educating farmers and cattle owners in different pasture management techniques. 02/07/08 - AusWest Seeds provides pasture seed production and distribution services to farmers with distinct agricultural needs.